Anyone who shops for food has to decide whether or not to buy the more expensive organic fruits and veggies or the conventional produce. Some will only buy organic, some will always bypass those pricier bins, and some (like us) will buy a mixture of organic and conventionally-grown fruits and veggies. And while “natural” foods may be organic, the terms are not interchangeable. 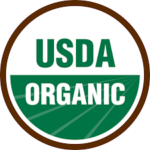 Products that are mixtures must be considered at least 95% organic to qualify for this government label. Fruits and veggies—if organically grown—qualify. First, what does “organically grown” produce mean? Organic farmers—unlike conventional growers—do not use synthetic agents for insect or weed control and only use natural substances (like manure) for fertilizers. They control insects using traps or birds or other insects, and will rotate crops, till, or hand-weed to reduce unwanted plant intruders. Not only does this process reduce the synthetic chemicals in your food, but it does the same for the environment, yielding a cleaner water run-off. When organic and non-organic produce were studied for nutrient content, they came out about equal; the only documented difference lies in the residue of synthetic insecticides, weed-killers and fertilizers in the conventionally-produced fruits and vegetables. But, are all fruits and veggies affected equally by these chemicals? The answer appears to be no. Some fruits and vegetables have higher levels of pesticides than others: the thicker-skinned tend to do better than those with thin skin. For example, pediatricians weighed in on this issue as far as kids were concerned, noting that children’s nervous systems are actively growing and may be more susceptible to the negative effects of synthetic chemicals such as pesticides. They recommend parents pick and choose (in order to save money) and buy, for example, organic apples and celery, but no need to spend the extra cash on onions and pineapple. The higher on the list, the higher the percentage of produce with pesticides found within. Further, aside from peeling conventional fruit and vegetables when possible (this usually reduces pesticide levels significantly), make sure you wash and scrub all fruits and veggies under running water. The list above contains fruits and veggies that you should consider purchasing as organic. The pediatricians say there is no difference in organic vs. non-organic milk in the amount of hormone present, and further, the amount is so small it is negligible. For meat, there is some evidence that eating hormone-free and antibiotic-free meat does have some benefits. As far as harm caused by the levels of chemicals in conventionally grown fruit and veggies, there is no evidence of this; but, at best, they certainly cannot do any good.